Early in my career, in the Spring of 1979, I accepted a two-month assignment in Brazil doing hydrologic modeling for EDIBAP (Estudo do Desenvolvimento Integrado da Bacia do Alto Paraguay), in Brasilia. 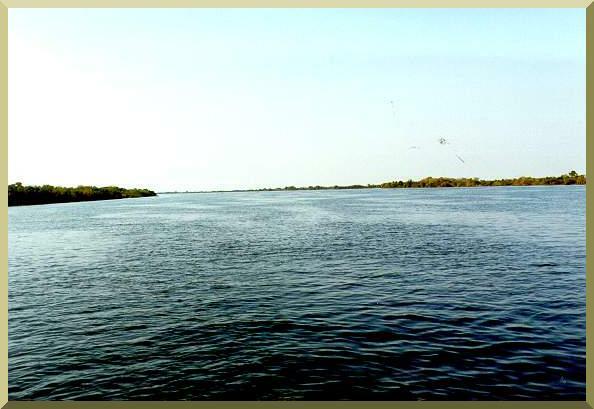 The task was to model the tributaries of the Upper Paraguay River, with and without proposed developments, to study the impact on the downstream flow. Our results fed the SSARR model of the Upper Paraguay, operated by the Brazilian government. My supervisor was Hugo Benito, a hydrologic engineer with extensive experience in the modeling of large river systems in South America. Being just a few years out of school, I lacked experience with large rivers, particularly those that regularly overflow their banks. I had a certain mindset on how kinematic flood waves--and most flood waves are kinematic--will have a tendency to steepen as they propagate downstream. As I discussed our findings with Hugo, I spoke about the steepening and how I expected our calculations to show it. To my great surprise, he said: "Flood waves do not steepen. At least not in the Paraguay!" I sensed he knew what he was talking about, and I was not in a position to argue. Later, after additional study, I learned that flood waves can either steepen or flatten, depending on the interaction of the flow with the cross-sectional geometry. When inbank, flood waves have a tendency to steepen; conversely, when out of bank, they will flatten. 1 Indeed, Hugo and I were both right, and the experience served to strengthen my knowledge of flood wave behavior. 1 Ponce, V. M. 1985. Kinematic shock: Sensitivity analysis. Journal of Hydraulic Engineering, ASCE, Vol 111, No. 4, 600-611. The Upper Paraguay river at Porto Esperança, Mato Grosso do Sul, Brazil.